Mention Parent Friendly Stays when you book a family holiday of five days or more at Coombe Mill and receive an exclusive £25 discount! Coombe Mill is located in St Breward near Bodmin, close to the popular north Cornish coast with its impressive cliffs, white sandy beaches and pretty villages. Family friendly days out in the surrounding area include the beaches at Polzeath, Daymer Bay and Trebarwith, the seaside towns of Padstow, Port Isaac and Tintagel, and tourist attractions like the Eden Project, Pendennis Castle, Crealy, Lappa Valley and Dairyworld. Originally a 16th century water mill, Coombe Mill now offers child friendly accommodation on a 30 acre estate in north Cornwall. Accommodation takes the form of six traditional cottages (each sleeping between 4 and 10), five Scandinavian lodges (sleeping 4-7) and six smaller riverside lodges (sleeping 2-4). The cottages are cosy, bright and airy, while the newer lodges are contemporary and modern in style. Prices vary depending on your choice of holiday accommodation: from £499 low reason to £2995 high season in properties sleeping 4-10. 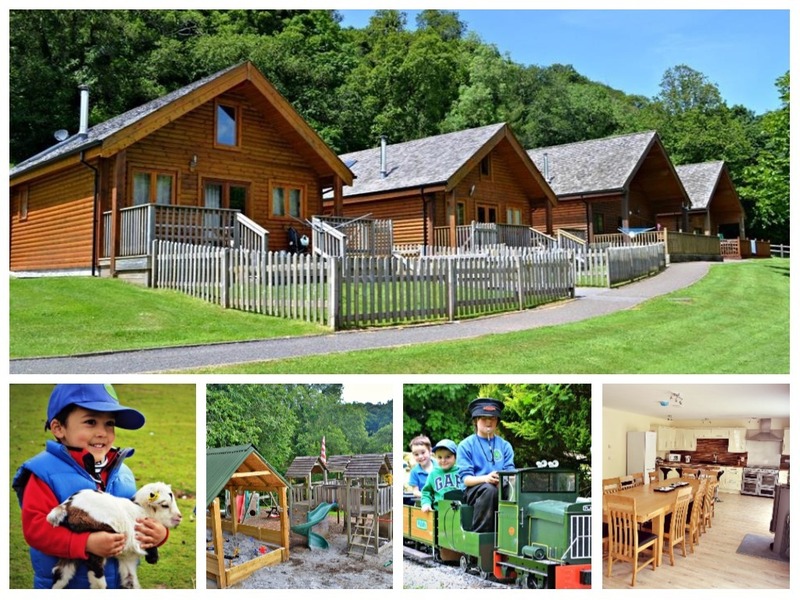 The cheapest peak August rate for a family of four is £1785 for a two bedroom lodge. Larger groups could stay in Coombe Mill’s biggest property – ten-bed ‘Tree Roots’ – for £2995 in August which at Parent Friendly Stays we think is a great price for this type of property. The owners of Coombe Mill describe the complex as “magical for children, toddlers and babies” and we can’t help but agree with them. The holiday is designed to offer children the very best of farm life and as such there’s a whole host of exciting outdoor activities for little ones to get involved with. This includes children’s tractor rides 6 days a week, collecting your own eggs, and petting and feeding pigmy goats, baby lambs, miniature ponies and more. 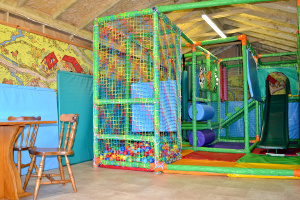 The cottages sit in a private 30 acre estate of woodland, meadows and gardens meaning there’s no shortage of safe outdoor space to explore, and there are also both indoor and outdoor play areas including full size fortress, slides and play tractors, badminton, and separate fenced play areas for under 5s. Children will also be enchanted by Coombe Mill’s very own railway on which they can enjoy a free daily train ride. 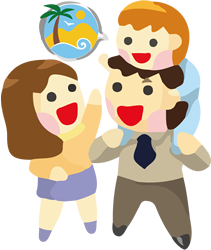 You’ll be pleased to hear that Coombe Mill has a few parent friendly holiday features, too. 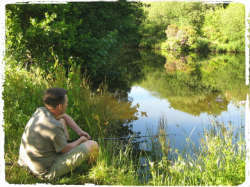 Fishing enthusiasts will find excellent fishing for salmon and trout in the river Camel which runs through the grounds, and there’s a free coarse fishing lake exclusive for Coombe Mill guests. The complex has an on-site reception/shop with ready meals and other provisions on offer – perfect for the nights when mum and dad are too tired to cook! – and you’ll also benefit from an excellent local village pub and shop. We also understand that babysitting is sometimes available. BBQ equipment is provided, along with a fantastic indoor BBQ seating up to 15 people. Tree Roots, the biggest cottage, also benefits from its own private hot tub. Children’s games, toys, wellingtons and overalls can all be borrowed from reception, and the usual baby and toddler equipment can be found here too (some for an extra charge). Fitness fans will enjoy a fully-furnished gym. Pets are permitted for an additional charge, and there’s free WiFi throughout the site. Coombe Mill is a thoughtfully designed family friendly complex offering fantastic farm holidays with a range of wholesome outdoor activities. 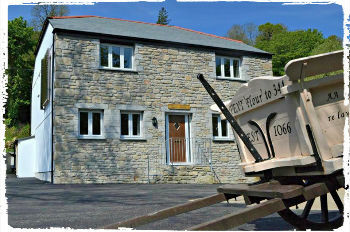 We know for sure that the Parent Friendly Stays children would love a stay at Coombe Mill, and their parents likewise! If you’d like to find out more about family friendly holidays at Coombe Mill, including booking and availability enquiries, just fill out the form below.